This brand new EMEA adaptation of Thomas Nechyba's popular text presents a European, Middle East and African perspective, whilst also being fully updated. 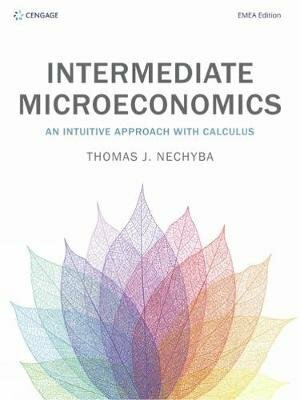 This exciting new edition follows Professor Nechyba's five primary goals for any microeconomics course by presenting microeconomics as a way of looking at the world, showing students how and why the world works, how to think more clearly and develop conceptual thinking skills, providing a flexible learning style and by finally providing a roadmap for further study. Each chapter follows the A and B structure developed by Professor Nechyba, allowing students to explore an intuitive approach in Part A and then focus on how the intuitive approach can be represented mathematically approach in Part B. This edition is also available as a MindTap with additional assessments, Graph Builder and video graph presentations. It is also available with Aplia, a comprehensive online learning assessment tool with autograded randomised questions to test students' understanding.